We are Ohio creatives with a passion for crafting tailored, artistic wedding photographs & films for extraordinary couples. Toledo is home, but we travel wherever your story takes you. With our passion for exploring life and building relationships, it’s about much more than capturing your wedding day through the lens. Explore the stories of our past couples. Be inspired by the details, love and excitement that makes each wedding distinct and share-worthy. Learn about the experience, the friendship and the passion that goes into telling your story and creating the perfect heirloom album to pass down for generations. Contact us today and tell us what makes you awesome! We want to be a part of your wedding planning process and tell your story in a way that is perfectly you. The perfect combination of artistic craft and emotional storytelling. See how we capture the beauty, laughter, relationships, excitement, passion and much more through photography and videography. It’s much more than documenting the events of the day, it’s freezing the smile on his face, the look in her eyes, the laughter of friends and the emotions of family. 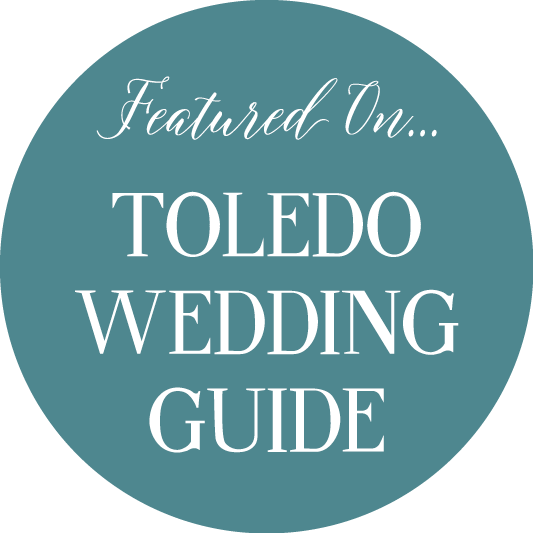 We are wedding photographers & filmmakers who call Toledo home. We are a tight knit group of creatives dedicated to telling love stories with stunning visuals. Click below and send us your information. We’ll be in touch to set up a time to meet asap! We look forward to getting to know what makes you awesome and we can’t wait to see where this story leads!